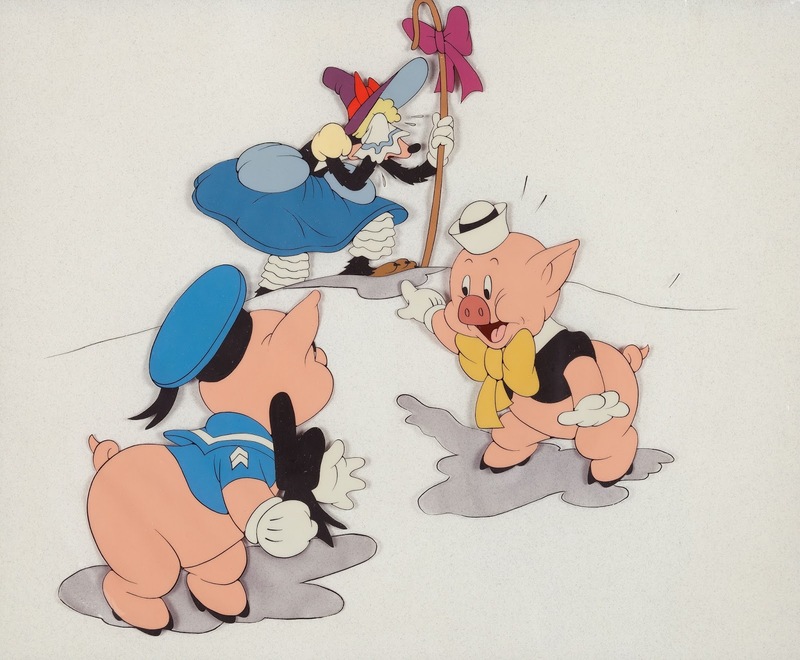 Ever since I was a child, watching Disney animated films, I was in awe not only of the animation but also the characters' colors. I loved the muted palette of the early features, but also the vivid color choices during the 1950s. 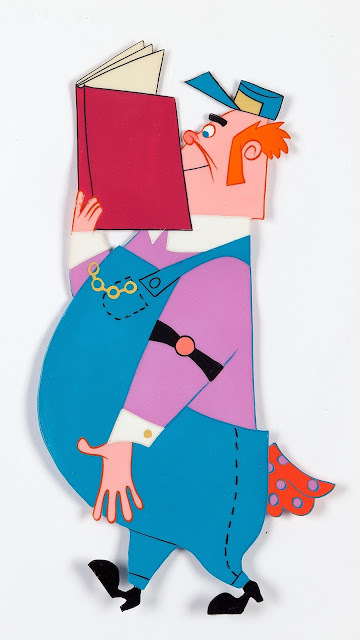 Color model artists at the studio were geniuses, they knew color theory and how color can support personality. 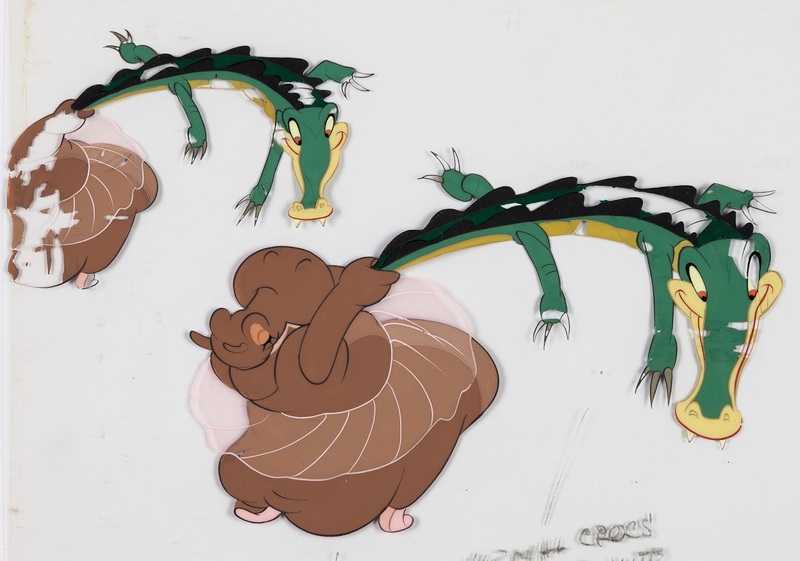 They also knew what the cels would look like on film. In the end each Disney film became a Techicolor extravaganza, a feast for the eyes. That's Flannery above, the station master, from the 1954 short film Pigs is Pigs. 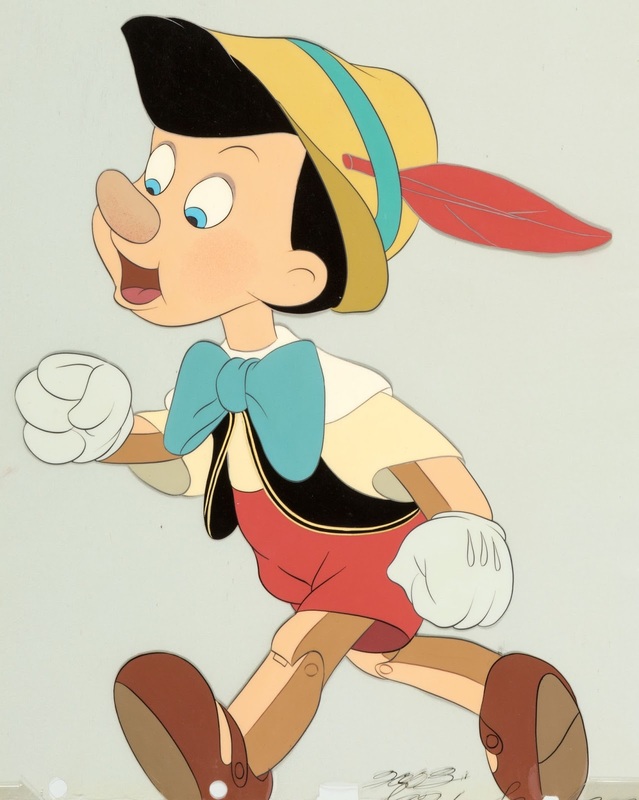 A full figure cel of Pinocchio, 1940. Much warmer color tones, even the blue areas are muted. 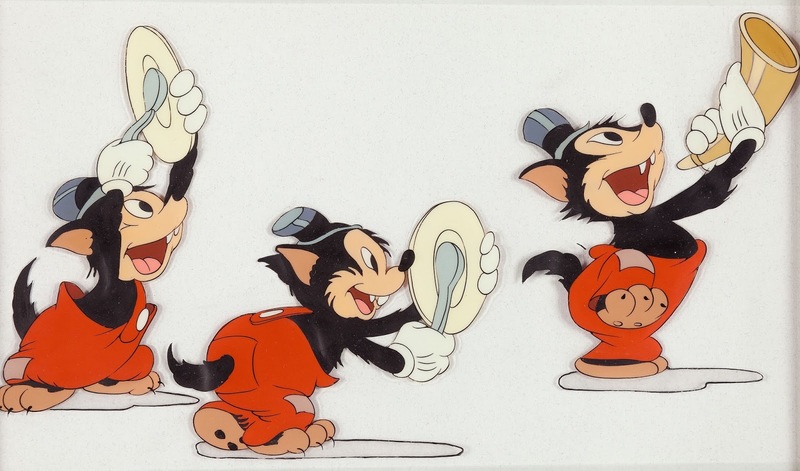 A great cel from Three little Wolves from 1936. Amazing Fred Moore animation. A cel produced as a book illustration by the ink and paint department. That's transparent paint used for the shadows. The finale from Dance of the Hours. Beautiful contrast between the brown hippos and the green alligators. 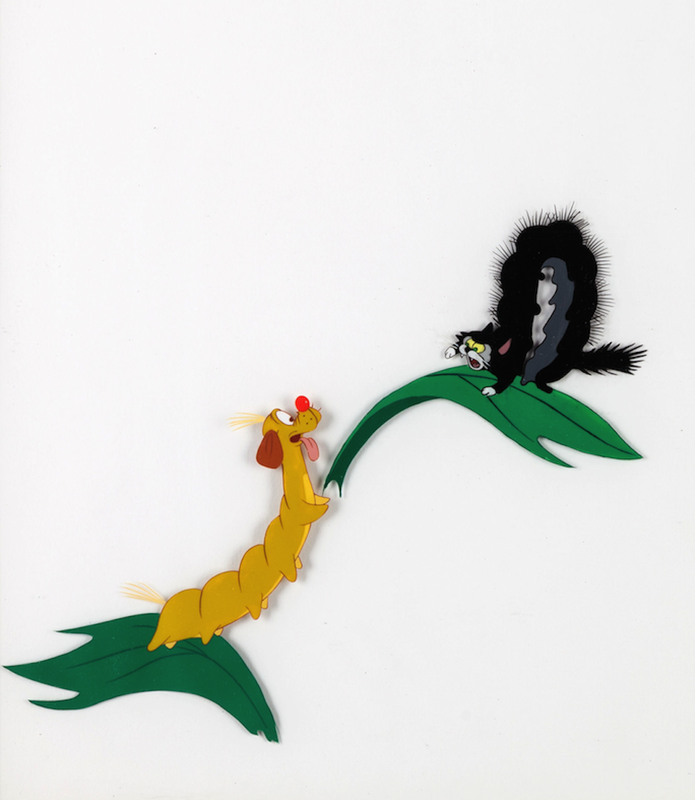 Very little original artwork survived from from Fantasia, and you can see problem with cel paint. 1953's Toot, Whistle, Plunk and Boom's colors remind me of a refreshing fruit salad. 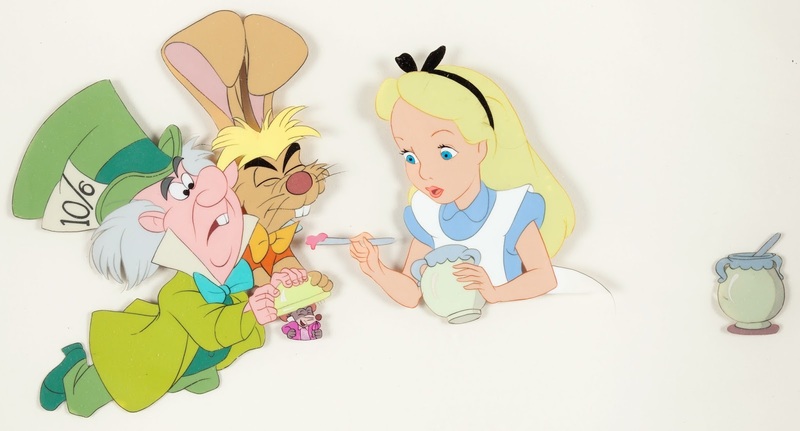 Nice combination of muted and bright colors on this group cel from Alice in Wonderland, 1951. Even miscellaneous characters get outstanding color treatment. 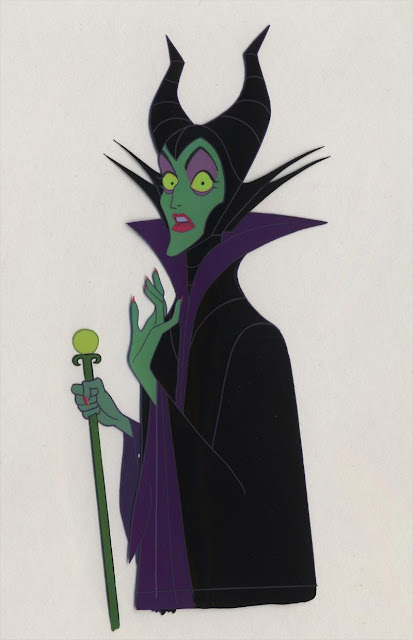 As I mentioned before, animator Marc Davis was never happy with Maleficent's final colors. He would have much preferred a combination of black and red, instead of purple.